1311 BRIGHTWATER AVE #18E + 18DBrooklyn,NY 11235U.S.A. 395 Broadway #5BNew York,NY 10013U.S.A. 205 Hicks Street #2ABrooklyn,NY 11201U.S.A. 70 Oceana Drive West #PH1BBrooklyn,NY 11235U.S.A. 2908 Emmons Avenue #2922Sheepshead Bay,NY 11235U.S.A. 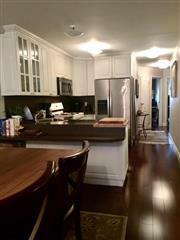 55 Oceana Drive East #6CBrooklyn,NY 11235U.S.A. 830 Dean Street #2Brooklyn,NY 11238U.S.A. 55 Oceana Drive East #8ABrooklyn,NY 11235U.S.A. 45 Oceana Drive #PH1BBrooklyn,NY 11235U.S.A. 412 KINGS Highway #PH8BBrooklyn,NY 11223U.S.A. 420 64 Street #PH1Brooklyn,NY 11220U.S.A. 162 Huntington Street #2FBrooklyn,NY 11231U.S.A.